I grew up with a wonderful family that loved God in New Brunswick, Canada. From an early age, my parents taught me about the importance of having God in my life. I accepted Jesus Christ as my Saviour when I was twelve years old. I am an ordinary person. There is nothing special about me, except that I am a Believer. I believe in God, my Creator, my Heavenly Father. But like everyone, there are times when life is tough. Within the last five years, my life has changed dramatically. I was in a car accident which left me disabled, and shortly after that I lost my husband. We each have a road to travel, "our journey of life." Through our journey, questions will arise that we don't have the answers for. In this book, I want you to travel with me in my questions. The answers to these questions have helped me in my life. I certainly hope they help you in yours. 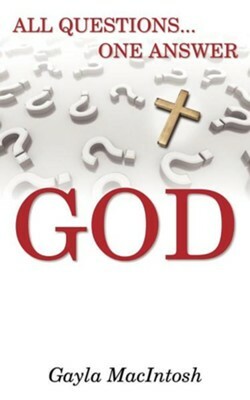 I'm the author/artist and I want to review All Questions... One Answer: God.